Staff training between sandstone and clay walls? Are you open for new things and would like your event to stand out? 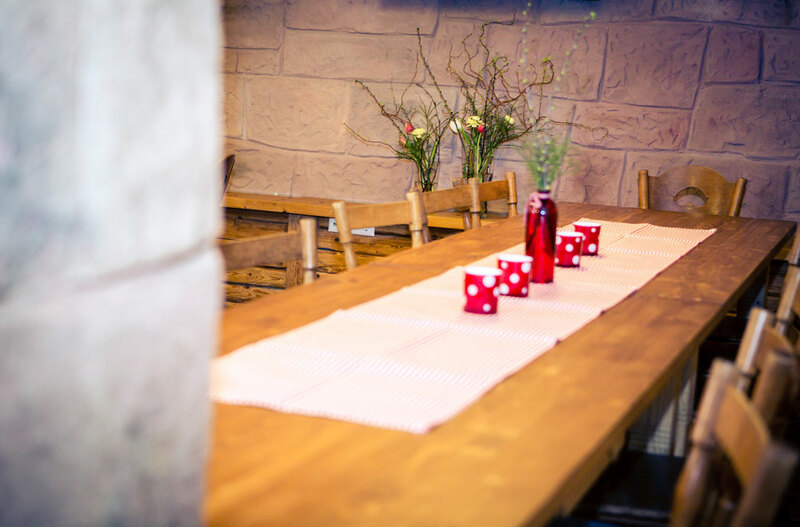 The conference room in the old cow barn is suitable for events for up to 15 persons. A flip chart, pin board, whiteboard, TV with computer and USB connections as well as Wi-Fi are available. In the natural atmosphere of our premises you’ll develop creative ideas and see your work from new perspectives. 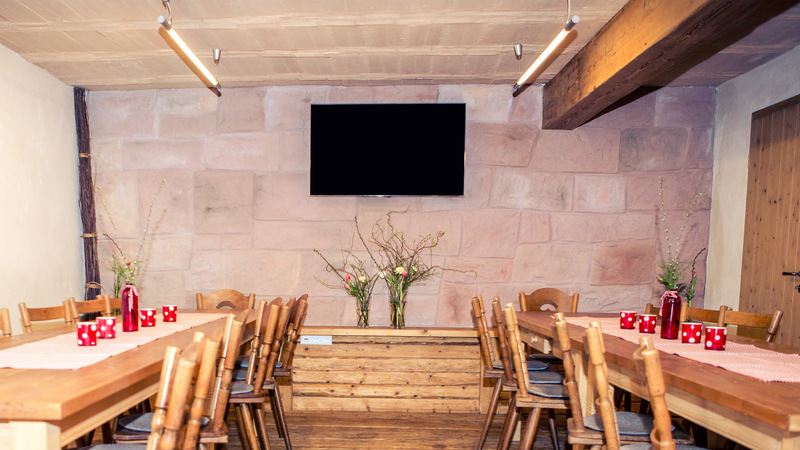 You will see, sense, hear and feel: modern conference technology and the natural atmosphere of our idyllically situated farm in the Sulzbach valley complement each other beautifully and will make your event a success. 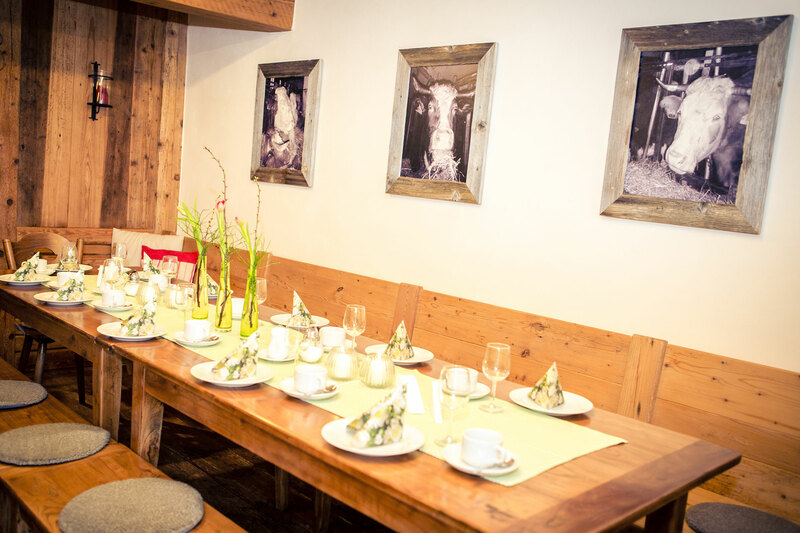 For your event we offer various packages ranging from coffee breaks to three course menus with regional products. Contact us, and we will be pleased to put together an individual offer. 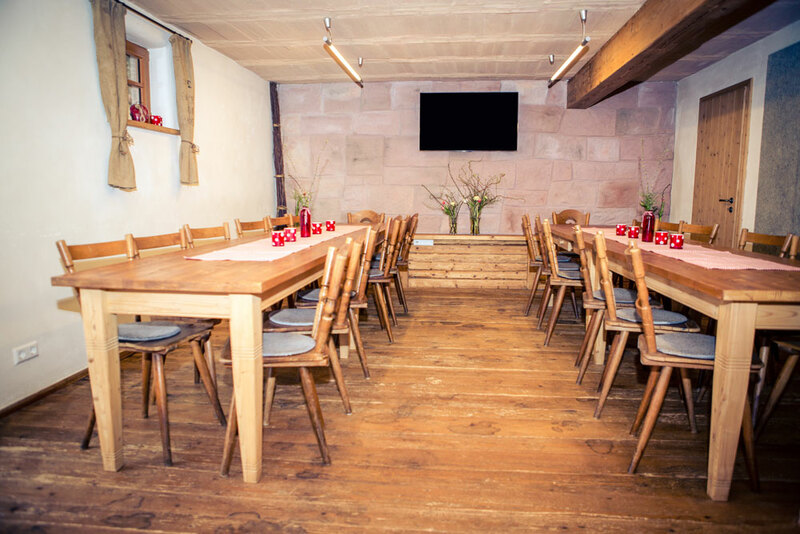 Apart from that – for your speakers, customers, staff … – we have four new nature guestrooms in our former hay loft. They offer modern comfort and have been lovingly equipped. Get an individual offer tailored towards your needs, or choose from our various all-inclusive rates. Seminars in the cow barn.